Wellness for the World: Thyroid Treatment...Ridiculous! I see it time after time with clients diagnosed with thyroid challenges. Now do you get while I say thyroid treatment is ridiculous? I have not discussed the thyroid much in the past because I generally recognize the thyroid challenges are very often not tied into thyroid function. I truly cannot hold back any longer. First we will recognize what most doctors are looking at in regard to thyroid function. Most are looking at TSH, T4 and T3. TSH is the thyroid stimulating hormone that is produced in the pituitary gland who's purpose is to communicate to the thyroid how much T4 and T3 to produce. The T4 and T3 are hormones produced in the thyroid to allow the benefit of normal body function. So with this information, many practitioners are making diagnosis of thyroid dysfunction with this information. Let me show you why this is ridiculous. Here is the comprehensive way of looking at what is going on with your thyroid. So what do you test if you are suspecting a thyroid challenge so you can actually address this properly and eliminate your symptoms? Now there's one more key here. It is important to recognize functional ranges rather than the typical reference ranges on the typical blood panel results. Often those outside of the functional or optimal ranges will already be suffering with the symptoms of thyroid dysfunction. One last topic to mention. There you have it. The most comprehensive information I can provide in a short article. I trust that you can use this in some positive manner in your life. I will be presenting a complimentary webinar on thyroid function coming soon. If you want this update and you are not currently signed up for the Depke Wellness newsletter, click here to register for our weekly newsletter and update on upcoming complimentary webinars. If you have any comments or questions about this article, feel free to leave this below for me to answer personally. Great article...but what is the answer? First of all thank you for the comment on today's article...always appreciated! Once you have this information, you want to recognize if you are in the functional (optimal) ranges. If you are not, you would likely be within one of the 6 different and specific dysfunctional thyroid patterns. From here you would address these patterns accordingly. To note, very few of the patterns actually required thyroid meds but some do. Those requiring meds are best addressed by a medical doctor but the other patterns are often best addressed by holistic care. 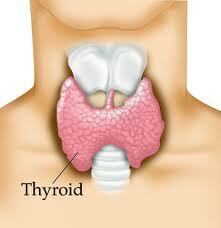 "How do you improve your thyroid health"
Improving this depends on what the cause is. Honestly, it is most likely tied into autoimmunity and if this is the case that would be the main focus. In the case that this is not autoimmune, we would address the other factors that would be recognized with the testing. As mentioned this could be due to dysfunction in the hypothalamus, pituitary, adrenals, liver, gut and more. The key is to look beyond the thyroid. As far as the profile selection, that is a Blogger thing. I wish there was a way to turn it off. Different thyroid treatment options exist for different types of thyroid disorders depending on the thyroid condition an individual is suffering from. Thyroid problem can be cure with thyroid supplements either synthetic or natural.